Before we start a repair of a database table, we want to first check to see if we have to do it. 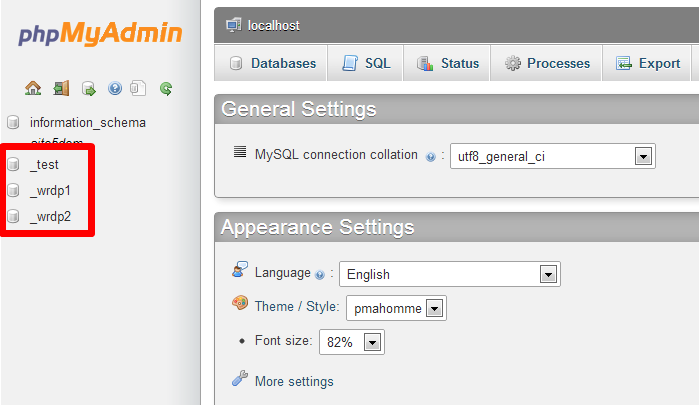 1) Log into your cPanel and select the PHPMyAdmin icon. 2) Select the database you wish to check. 3) Select the tables you wish to check. Or you can click the select all link located at the bottom of the table list. 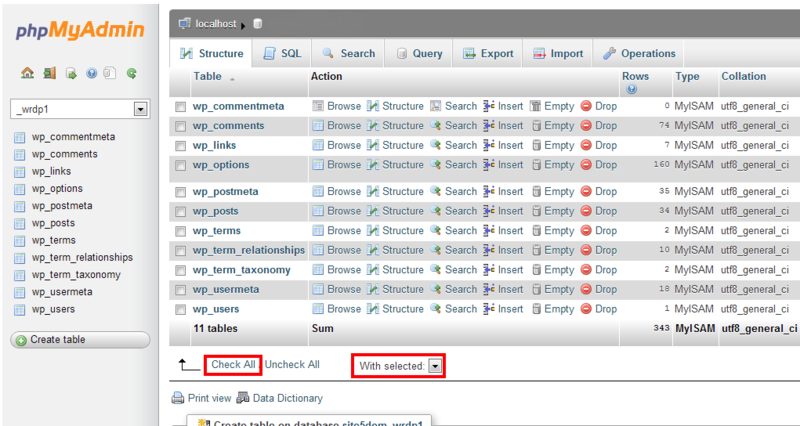 4) Select Check Table from the drop down list. If there is any errors in the results window, you will need to complete the repair process. In our example there is no errors. Follow steps 1-3 from the Check Table process. 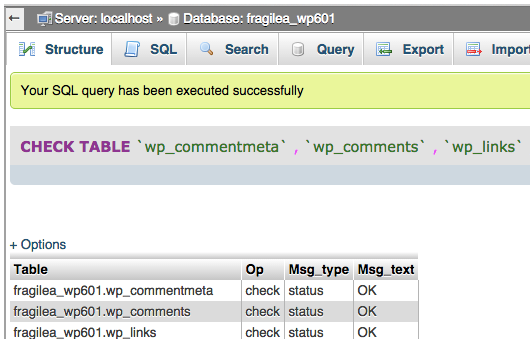 4) Select Repair Table from the drop down list. If errors persist after repair, contact our support team and we will be happy to investigate the matter on your behalf.